Accidental spills, children playing on the sofa, pets jumping on your furniture with dirty paws – there are several reasons that can lead to your furniture at home getting dirty. Want it or not, it is more than normal for sofas to get stained every now and again. Even if you are careful not to stain your furniture, in time things simply get dirty and that’s natural. To provide your home with excellent hygiene, you have to make sure that everything is taken good care of and cleaned regularly. However, sofas can be quite complicated to clean, depending on the type of fabric. Using our professional cleaning services will allow you to enjoy ideally cleaned furniture in the blink of an eye. We are a professional cleaning company, located in London. We have been on the market for many years, providing our customers with perfect cleaning services and making sure we satisfy all of their needs for a clean home. We are focused on quality cleaning at low prices because we want the best for our customers. During our years of experience, we have made many clients happy with our work. That is how we have made our way among the best companies in the business in London. Our sofa cleaning services guarantee amazing results, as our experienced cleaners have all of the right skills, knowledge and tools that allow them to clean effectively. They will inspect your sofa carefully and decide on the most appropriate method to clean it, depending on the particular fabric. Our experts can handle perfectly all kinds of fabrics, even such that are very complicated to clean and require delicate cleaning and precise work. Tough stains are not a problem to our cleaners, who can cope with absolutely everything and reach results that will make you fall in love with their work. They can complete their tasks quickly, proving their professionalism. We use biodegradable cleaning products that are safe for both your health and the environment. They are also safe for your pets. We work hard in order to please our customers and we always manage to do it successfully. Cleaning your sofas seems like a nice game when you see how professionally and quickly our experienced cleaners remove all kinds of stains and make your sofas look like new. 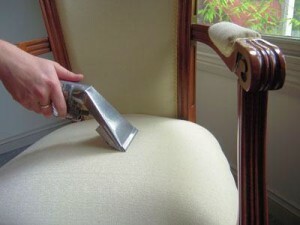 Provide your home with ideal cleanness and call us to come and take care of your sofa. It will be our pleasure to make you happy.